In 2018, lastminute.com is celebrating 20 years “in the pink”. Since 1998, we’ve been been offering unforgettable experiences to our customers. We believe that the unique achievement deserves a big celebration. And we believe that our customers who have helped us to reach this milestone should also be celebrated. This occasion is also the ideal opportunity to publicise our current “Whatever Makes You Pink” campaign. By showing how we’ve helped to inspire our customers to make their lives more pink. And to highlight to both our customers, and our suppliers, that we continue to be a major player in online travel. With our “20 years of experience in providing experiences”, we have a level of expertise that no-one else in the field has. To do this, lastminute.com will create content inspired by our anniversary, and offer special birthday deals and events to our customers throughout 2018, in the run-up to date of the anniversary in October. lastminute.com is one of the UK's largest providers of low-cost flights, holidays, city breaks, theatre, days out, hotels, spa, gifts/experiences, travel insurance and car hire. 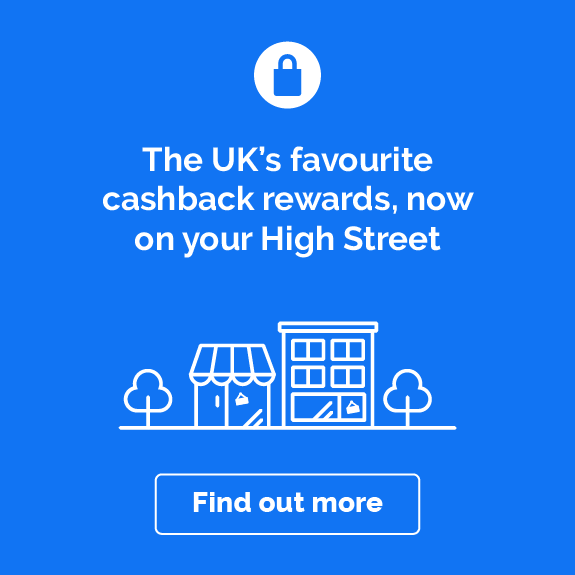 Use a lastminute.com voucher code or get lastminute.com cashback to ensure you receive the best deal on your purchases. The winter’s coming to an end, the summer is on its way. That must mean only one thing: it’s spring break time. The the mild weather of the spring months make it the ideal time for a short trip to one of Europe’s stunning cities. Lastminute.com are currently offering great deals on flights and accommodation in some of Europe’s top destinations. 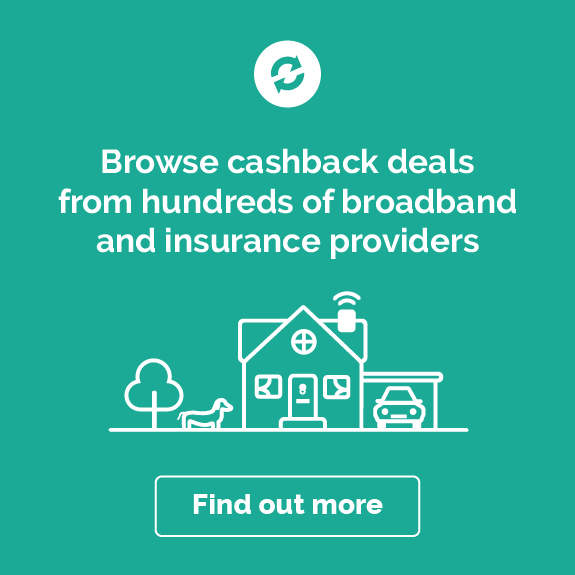 Remember to follow the link on this page to the Lastminute.com site in order for your cashback to be tracked correctly. One of the best things about Lastminute.com is that, unsurprisingly, you can bag some really good last minute deals. No need for months and months of planning. Just choose a destination, book through the site, and in a couple of weeks you could be there. But where to go for a weekend? Europe’s vast array of unique and colourful cities can become a little overwhelming. How about Dublin? The Irish capital has a history steeped in culture and literary greatness. Bookworms can spend the days on the walking tours based around two of the world’s most legendary writers, James Joyce and W.B. Yeats. If that’s not really your thing, you can take a tour of the Guiness factory to see how the great beverage is made. In the evening, you can tour the hundreds of cosy pubs and bars Dublin has to offer, or head down to the famed Temple bar to chat to a Dubliner. Grab your flights and accommodation through Lastminute.com and earn some Quidco cashback on top. If you want to try something a little different this year, consider Krakow. The Polish city is a certified up-and-comer in the city break game, due to its medieval architecture and affordable living costs. There’s fun to be had in this city by all ages and types. History buffs can stop by the Wieliczka Salt Mine, one of the world’s oldest and preserved salt mines. Foodies can take part in one of the many street food tours. Whatever you want to do, wherever you want to go, do it with Lastminute.com, and get cashback on top. Lastminute.com’s roots go back to the earliest days of online shopping – it was founded by entrepreneurs Martha Lane Fox and Brent Hoberman way back in 1998, as part of the UK's first dotcom boom. Today the lastminute.com group is one of the world’s leading online travel companies, with websites and apps in several languages and scores of countries. Here in the UK, lastminute.com isn’t only about holidays. It’s just as popular as a place to snap up the hottest theatre tickets in town or book a well-deserved spa break or afternoon tea. So whether you’ve got a particular trip in mind or you’re simply searching for holiday inspiration, dive into lastminute.com to discover a huge range of flights, getaways and exciting days out. Lastminute.com made its name offering great holiday deals at short notice, but its modern incarnation specialises in leisure and entertainment of all kinds. And despite the name, lastminute.com isn’t just for spontaneous bookings. You can search for deals up to a year in advance if you like – great if you’re planning for a special occasion or looking for early-bird discounts. Find hotels and flights for business or pleasure. Grab some well-earned me time on a relaxing cruise or spa break. Pick up tickets for theatre shows in the West End, across the UK and beyond. Or help create cherished memories with a lastminute.com experience that’ll suit your loved one down to the ground – from racing and flying to dining and sightseeing. Whether you’re heading off for a quick overnight stay or a lavish two-week holiday, finding the right place to rest your head is usually a top priority. And lastminute.com doesn't just have a great choice of properties – it also has regular exclusive offers and a price match guarantee, so you can be confident you're getting a cracking deal. Wherever you’re travelling to, if you find the hotel cheaper on any other UK website within 24 hours, you’ll get the difference back. And keep an eye out for lastminute’s Top Secret hotel deals, which keep the identity of the hotel under wraps but offer astonishing savings that can reach up to 40% off. The key to a great last-minute break is spontaneity – so you don't want to end up spending ages planning and organising your trip. Shop for your holiday at lastminute.com and you’ll be able to get your whole to-do list ticked off in one go. Take the simplest option and choose one of lastminute’s package deals or all-inclusive holidays. Or tailor your break to get exactly what you want; lastminute.com's simple menus and shopping tools make it easy to pull together exactly what you need, from flights and hotel rooms to transfers and car hire (though note that completely DIY bookings might not be covered by lastminute.com's ATOL protection – check terms and conditions to be sure). Alternatively, just hit the Inspire Me tab to get some quick-fire travel ideas. Lastminute.com knows that holidays come in all shapes and sizes. You might be planning a family holiday with the whole clan, arranging a romantic getaway with that special someone, jetting off on a solo holiday to find some time for yourself or organising a fun-filled short break with all your friends. Whatever you’ve got in mind, booking through lastminute.com means you can find the holiday that’s exactly the right fit for you. You can even find dog-friendly holidays for when your four-legged friend needs a break too. You could be booking your break with last minute holiday in no time thanks to the quick search features and handy browsing tools on lastminute.com. Focus on flights, hotels, holidays, days out and more or head to the Inspire Me section to pick from a wide range of recommendations. In just a few clicks you can see all the details of suitable offers, including customer ratings and multiple images. Check out the terms and conditions, plus any cancellation policies for your chosen break, then hit buy. It couldn’t be simpler. Once you’ve booked, you can manage your booking and find check-in and travel details by logging on to My lastminute.com, downloading the app or calling lastminute customer services free, 24 hours a day, seven days a week. Add to the buzz of getting amazing last-minute deals by earning cashback on your bookings too. Here are five ideas to get you started. If you fancy staying close to home or exploring more of the fabulous sights this country has to offer, booking your UK holiday with lastminute.com is a great shout. There's a lot of variety in our little set of islands in the North Sea, so you can find holidays and weekend breaks to suit all tastes and budgets. Go see the bright lights of the big city with a last-minute hotel room in Cardiff, Edinburgh, Dublin or London. Discover breath-taking natural beauty with a weekend break to the Lake District, the Scottish Highlands or the Cornish coast. Soak up some of our fascinating history on a holiday to York, Bath or Oxford. The choice is endless – and lastminute.com is there to help you navigate it all, and find some great bargains at the same time. It’s never been easier to get away for a last minute weekend break abroad or that much-needed holiday in the sun. Whether you’re daydreaming at your desk on a wet Wednesday afternoon or planning ahead for a special trip, head to lastminute.com to find the holiday that’s just right for you. Choose from short and long-haul flights departing all major UK airports; Eurostar deals for European city breaks; and dream holidays in destinations like the Caribbean and Dubai. No matter where you’d like your ideal holiday to be – Tenerife or Greece, Amsterdam or Paris – a search on lastminute.com is a great place to start. And when you add cashback to the picture, it gets even better. Lastminute.com has become one of the most popular sites for booking theatre tickets, particularly for blockbuster shows in London’s West End. From classic murder mysteries like The Mousetrap to family-friendly summer shows and razzle-dazzle musicals, lastminute.com is the place to grab great-value seats or put together a memorable theatre break. Snap up the matinee tickets for a quick day trip, or make a big weekend of it by adding in a hotel room, afternoon tea, a Buckingham Palace tour or even a river cruise along the Thames. You can do it all at lastminute.com, and earn some cashback too. Bravo! Want to say "I love you"? There are few better ways of sending the message than by booking a romantic escape. Take a look at lastminute.com for getaway ideas that'll win you major brownie points. If your partner loves peace, quiet and relaxation, browse the huge range of pampering spa days and short breaks. Book a classic city break in a romantic European city – think Paris, Rome, Budapest – and spend a weekend exploring beautiful buildings, intimate restaurants and chic bars. Find luxury holidays where you can watch the sun set together each day in five-star style. Or snap up a sweet Top Secret hotel deal and enjoy a boutique retreat at a fraction of the usual price. It’s pretty much always the perfect time for a holiday. You may be looking for holidays in the sun to escape the rain, seeking out top winter ski destinations, planning an epic Christmas gathering or searching for an Easter break to suit the whole family. Whatever the occasion, and whoever’s coming along, you’ll find plenty of options at lastminute.com to make sure everyone has a happy holiday. As well as the usual great deals, keep an eye out for flash sales and seasonal edits to give you last-minute holiday inspiration and help you get away for even less. Ready to book a short break, day trip, flight or holiday? We're here to help! Here the answers to some of the most frequently asked questions about lastminute.com. How can I see reviews for lastminute.com holidays? Once you’ve put your search details into lastminute.com, you’ll be able to scroll through the results to find your perfect holiday match. Each listing shows a guest rating and number of reviews, so it’s easy to scan for favourable ratings at a glance. To find out more you can click through to read the reviews in full. If guest ratings are your top priority you can sort the page to show top ratings first or filter to see results in each ratings category. Can I book a lastminute.com holiday leaving tomorrow? Absolutely! If you know you can jet off tomorrow or within the next few days, but you’re flexible about your holiday destination, start by clicking the Inspire Me tab on the lastminute.com homepage. Select the type of holiday you’re looking for, or enter up to 10 suitable destinations. Then enter the date you want to go, move the slider to choose your budget, and browse or filter the results to make your choice. Don’t forget to check the terms and conditions and take a look at lastminute.com’s Useful Information section for tips on booking and travelling – like making sure your passport is valid and checking health advice for your destination. How can I find Top Secret hotels on lastminute.com? Whenever you search for hotel deals with lastminute.com, relevant Top Secret hotels will appear in the search results clearly labelled with a Top Secret hotels banner. Before you book, you’ll get to know everything about the hotel except its name, so you’ll be able to decide if it’s right for you. As soon as you’ve booked you’ll get all your booking information, including the hotel name. Are lastminute.com's Top Secret hotels any good? Yes! There are over 2,000 Top Secret hotels on lastminute.com, including four- and five-star properties. They are all leading chain and independent hotels in over 50 countries. How do I find cheap flights on lastminute.com? To find the best deals on cheap flights with lastminute.com, click on the flights tab on the lastminute.com homepage. There are loads of ways to customise your flights search so you can quickly get to the best tickets to meet your requirements. You can choose your deal from flight offers from over 400 airlines worldwide, ensure you’re getting the best prices with the flexible date search, and check whether low-priced outward and return journeys with two different airlines would be the cheapest option for you. Yes, but ATOL protection doesn't apply to everything you buy on lastminute.com. Generally only package and flight-plus bookings will come with ATOL protection. If you're not sure what level of protection applies to the trip you want to book, check the lastminute.com terms and conditions or call lastminute.com customer services. 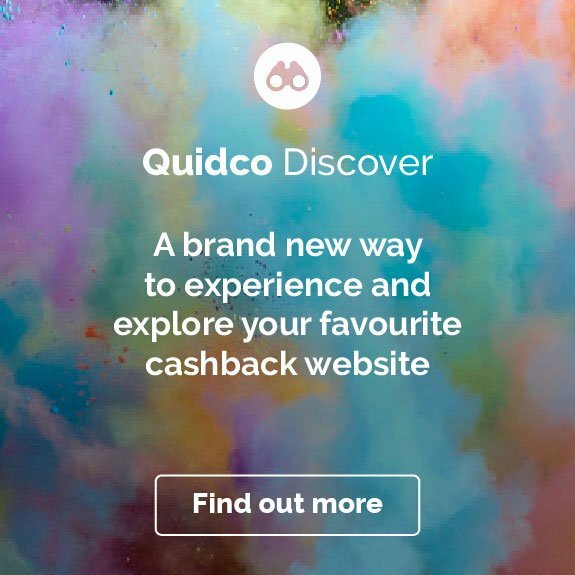 Come rain or shine, you can make big savings on all of your lastminute.com purchases all year around with Quidco’s cashback offers. 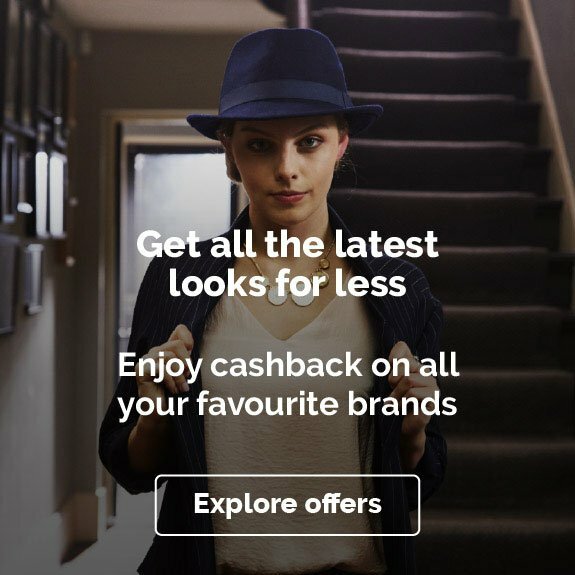 To find out how you can make the most of your cashback with lastminute.com check out some of the ideas below. Need to get away from it all? Take a look at all the last minute ski deals and winter sun holidays on lastminute.com. Whether your dream escape is standing on a mountain top ready to take on the piste or sipping cocktails on a faraway beach you’ll find trips to suit your budget. And better still, if you check out lastminute.com’s amazing holiday deals through Quidco, you could earn cashback and make a huge saving on your next trip. Ready to hit the slopes of Sauze d'Oulx or go big in Banff? Check out all the budget-friendly lastminute ski deals for your next high altitude holiday. Whether you’re a snowboarder or a skier – or just enjoy the après ski – there’s a huge selection of ski breaks, with your accommodation and flights included. You could find an incredible last minute ski holiday in Austria, with great savings on an adventure in Innsbruck. Or why not do some last minute skiing in France? You could ski and board amongst the clouds in France’s highest resort of Val Thorens, which could be a great option if you’re thinking of going later in the season. There’s an impromptu winter adventure to suit all skiing and snowboarding abilities too. Bulgaria could be a winner for beginners, with English-speaking instructors to show you how it’s done. And if you like swapping your big summer getaway for a trip to the slopes instead, there are unmissable luxury deals too. Check out all of lastminute.com’s ski holidays to Canada for five star getaways in Whistler, or go all out on a trip to Aspen in the US. Ready for some last minute winter sun instead? If goggles and sallopettes aren’t really your thing, trade the wintery weather for hotter climes with lastminute.com’s winter sun deals. You could escape to the beautiful beaches of Cape Verde, or head to Mexico’s party capital of Cancun, where you can dine on fresh seafood, salsa and sip on ice cold margaritas by the pool. To really get away from it all, why not head to the Caribbean? Enjoy relaxing on white sandy beaches and taking a dip in that brilliant blue sea. And if you’re all about taking in a place that’s rich in culture and known for its cuisine, head to Thailand for an unforgettable last minute trip. 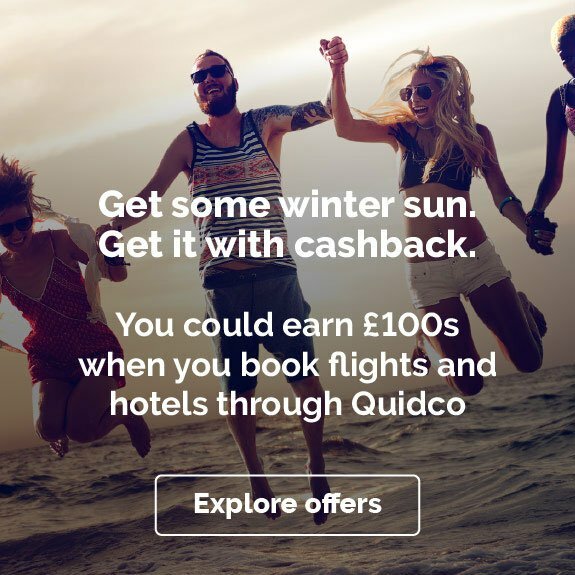 However you want to take a break this winter, remember to check out lastminute.com through Quidco to make some amazing savings on your next holiday. Looking for more travel deals? Browse offers for summer getaways or winter breaks with high-street favourites TUI or Thomas Cook. Find inspiration for short hops and far-flung adventures with online specialists Expedia and Booking.com.